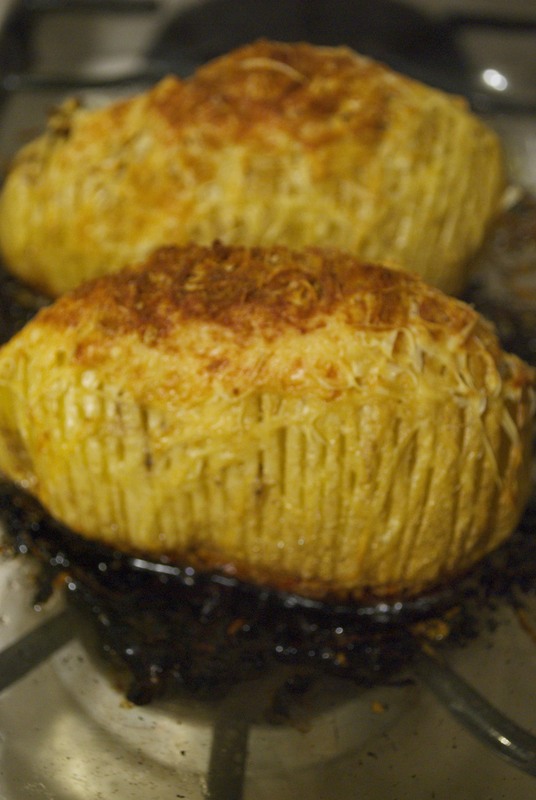 Slice the bottom off some Yukon Gold potatoes. put down a chopstick on both sides. 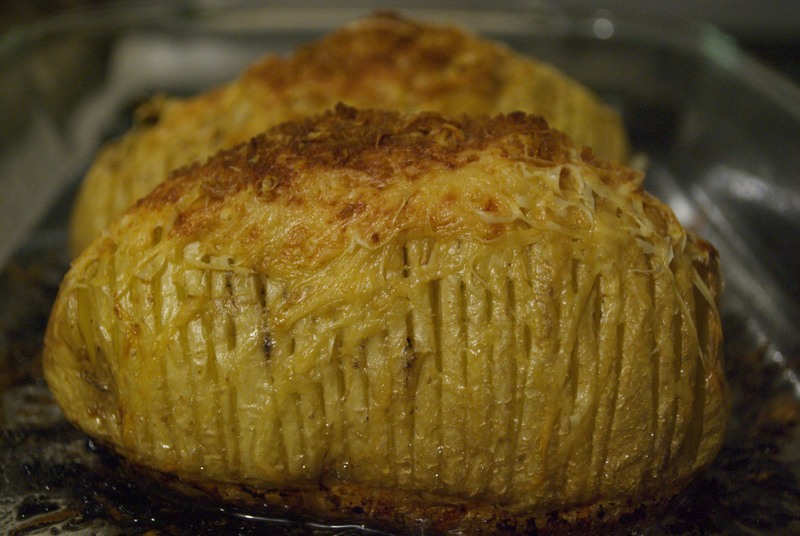 With a chefs knife slice into the potatoes leaving them attached at the bottom. Fan them out. Mix up some butter, crushed garlic and S&P. drizzle that mix between the slices. Bake for a while. Top with parm and broil the last few minutes.